It was a random Friday afternoon. The summer was coming to a close and my third year of college was scheduled to begin on the following Monday. After two years of community college, I was planning on going to a local four year university with the hopes of playing baseball. I had worked hard to get to this point going from a second string player on my high school junior varsity team to a starter on a junior college team that had five players drafted. Now I was looking to take my next step as a college athlete from junior college to a four year school. At this point in my life I didn’t care much for school. Baseball was the only reason why I tried to get good grades, or maybe the only reason why I was in college at all. It’s all I wanted to do since my junior year of high school. Baseball was my identity. All through junior college I focused on marketing myself to college coaches. I made the phone calls, went to the showcase events, and sent dozens if not hundreds of letters to coaches. This resulted in a few scholarship offers to smaller schools, but I had made a decision that I wouldn’t settle for anything less than a NCAA Division 1 or 2 school. So there I was, getting ready to walk-on to a local Division 2 program. Fall practice would begin in a few weeks and I’d get my shot to compete for a spring scholarship. That Friday before the first day of class I got a phone call. It was from a friend on mine who I played ball with in junior college. He let me know the coach would be calling the next day. Honestly, I didn’t think anything would come of it. Not that my former teammate wasn’t trustworthy. However, I had spent the last two years trying to get the attention of college coaches. There’s no way this would work out. I asked him, “don’t you want to see me play?” No thanks, school starts on Monday and we know enough about you to make the offer. Some may say this was dumb luck. And to be honest, it probably was. However, years of sending letters, attending showcases, putting together two pretty decent years on the field in junior college, and getting good grades positioned me for the opportunity when it came up. I didn’t know hardly anything about the school or the baseball program, but my answer was yes. That Sunday we made the four hour drive to the new school. Sure enough, the coach had the scholarship papers ready to go. I was expected to compete for the starting center field position, replacing a four years starter who was later inducted into the school’s hall of fame. No pressure or anything. I skipped the first week of school to get organized, and when I got to my new school ended up sleeping on my friend’s couch for a few weeks until finding a place of my own. And by my own I mean a 600 square foot home with two bedrooms, three roommates, and two dogs. The school was located in a small city of about 50,000 people. Just barely big enough to have its own newspaper and local television station for the small city and surrounding towns. During the spring, we’d usually be on the front page of the newspaper and have a minute or two on the 10 o’clock news. I’ve never been the most talented baseball player. A slap hitter with a little speed and an above average arm. I ended up starting all 50 games my junior year; every one in center field. After a slow start I ended up having an okay year with an on base percentage of over .400 as the team’s leadoff hitter. My senior year I ended up losing my starting job, but still played in about two-thirds of the games at corner outfield spots. We’d wake up most mornings to be at weights by 6:30 am. Class would go from 8 am to noon. Practice would begin at 2 pm until 5 pm. Then we’d have to find time for homework at night. Weekends during the season were either spent on the road or at our home field. All the while, there was school. I ended up majoring in finance. I knew that finance was a marketable degree, with subject matter that I found interesting, and the coursework aligned with my skillset. It wasn’t until later that I found my passion for personal finance. Whenever anyone asks about my college experience, I always say being a college athlete better prepared me for the workforce over anything I learned in the classroom. The classroom taught me more about critical thinking, writing, and regurgitating information that I’ve long forgotten. However, the things that I learned on the ball field have shaped me as a person and have carried throughout my personal and professional life. Below are a few examples. There are a few competencies that we always look for in potential leaders at my day job. At the top of the list is the ability to lead peers or more senior individuals without having role power. Leading through role power is the “I’m the boss, you’ll do what I say mentality”. This is not ideal no matter if you have the role power or not. Being a college athlete provides an opportunity to lead peers without having that role power. I quickly learned that little things like staying after to take more batting practice or showing up for weights early can demonstrate a commitment to getting better. Hard work and effort is contagious and when a few lead the charge others can’t help but follow. We can all create followership just by setting a great example. It’s been a while since I was in college. However, group projects would usually look the same. If there were four people in a group, one person would take the lead and complete 80 percent of the group work. Two of the four workgroup members would contribute almost nothing, and the other would help but not nearly to extent of the lead. Taking on all of the work is not teamwork, it’s doing what needs to be done to get a good grade. Team sports force you to come together to work as a collective unit. Even though baseball is about as individual as a team sport as you’ll find, you still have to rely on your teammates to be successful. You quickly learn that if everyone isn’t pulling their own weight on the team, the whole ship goes down. Additionally, building effective relationships and creating a positive environment results in the strongest teams. Everyone needs to be pulling in the same direction to become successful. I have been on teams that do exactly this, and others that do the opposite. I have played in several baseball and softball leagues post-college, from beer leagues to semi-pro. What I’ve found is the more experienced the team or league, the better the players handle themselves on the field. I’ve played in really bad baseball and softball leagues, and that is where you’ll find players slamming helmets, yelling at teammates, and embarrassing umpires. These things still happen at all levels of play, but to a much lesser extent in better leagues. Playing sports teaches you how to compete with others more gracefully. There isn’t much competition against classmates in solo situations since most final grades are independent of how other students in the class perform. In the workplace, healthy competition is appropriate, but it can quickly become toxic if it gets out of control. Being able to win or lose gracefully, and keep perspective of the important things is important. College sports teach you all of these things, which translate to other areas of life. Playing a sport also teaches you to perform under pressure, just in a different way than you may find in the classroom. My junior year in college we had the opportunity to play the nationally ranked Arkansas Razorbacks. We were one of the cupcake teams that they brought in early in the year. We headed into the 8th inning with a lead and their fans were getting angry. It’s hard enough to perform in a pressure situation in general, but when you have fans yelling at you most of the game it takes it to a whole new level. We ended up losing the game but they never played us again after that year, so I guess that was somewhat of a win. This is just one example of learning to perform under pressure. My mindset was if I could perform in an environment with thousands of people watching, then performing at work for a small audience would be easy. Public speaking and other pressure filled situations have a similar impact. One additional benefit of sports is learning to deal with failure. It took me a long time to realize that failure can be the best teacher.Even the best college baseball players fail the majority of the time. In every game you are learning to deal with failure. Back in high school and college I had a much different perception of failure. In high school if we lost a game, my friends knew to stay away because I was going to be upset for the rest of the day. By college I had become so used to failing that I eventually learned to manage it better. If I had a bad game, that frustration was channeled into practice the next day. 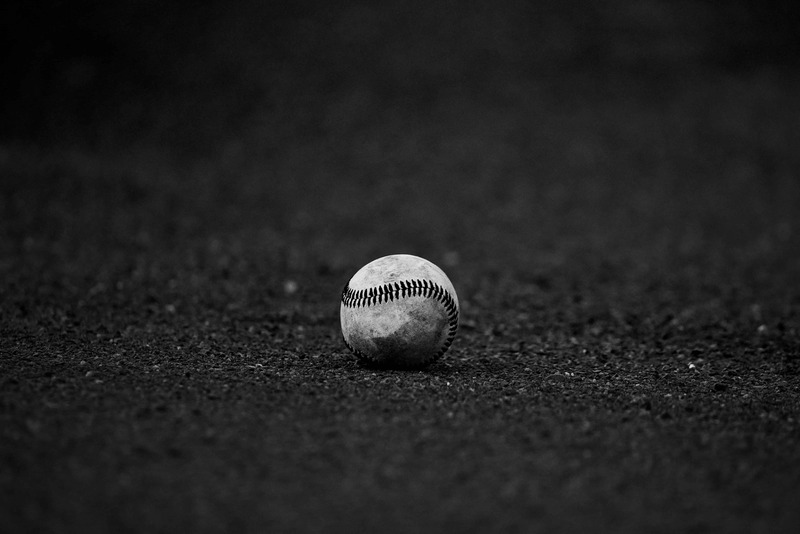 It took me while after college to learn that failure can be the best teacher, though I may not have ever gotten there without playing baseball. Grit is a popular buzz word these days and for good reason. According to dictionary.com grit is defined as, “courage and resolve; strength of character”. In my own words, grit is the ability to get something done regardless of the challenges in front of you. Almost every project that I’ve worked on professionally has had challenges to overcome. No project ever goes as smooth as we’d like. What makes people successful is the ability to fight through these obstacles to achieve success. College sports are competitive. In high school most people can get by on talent alone. That changes in college. College teams include the best of the best high school players all competing for a limited number of spots. If you’re someone like me who wasn’t the best athlete, the only way you get playing time is by having grit. This means putting in the hard work, overcoming obstacles, and pushing through challenging situations. All of these attributes combined result in constantly pushing past barriers to achieve things that I didn’t know were possible. The journey from sophomore bench player to be a college starter on full scholarship was a continued series of breaking through seemingly impossible barriers. Being a college athlete taught me that all things were possible if I was willing to put myself out there, take some risks, and fail my way to success. I couldn’t agree more. There are so many great lessons to be learned while balancing school work and a commitment to the team. I played college football and rugby, which I wouldn’t recommend playing both for anyone’s body. Both served me well in the workforce when it comes to leadership, discipline and development, teamwork and how to be reserved and maintain my composure when I would get knocked with a fist or foot in the rugby scrum (lots of cheap shots in Corporate America). Thank you! Football and rugby? That sounds intense. Agree as well! I too played baseball in college … a long time ago 🙂 in the SEC after a couple of years of JUCO ball. All of the attributes that you listed have been experienced not only in high school and college days but over my 34 year career as a working professional. Coming out of high school, in a large mid-western city suburb as a highly regarded shortstop to a small town JUCO with a 100 talented players on the field from all over the country made me realize that the world is big with a tremendous amount of competition! I learned to adapt, be flexible and work hard! 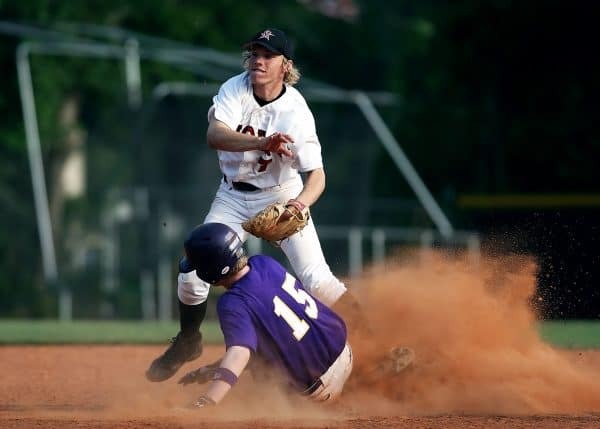 So much so, I became a catcher in JUCO as my coach saw leadership and because I was too damn slow laterally to be a middle infielder 🙂 … to make a long story short … I caught the attention of many 4 year universities and eventually landed a 3/4 ride as a 3rd baseman at a SEC school. My junior year made All SEC Second Team…I wasn’t the most talented person on the squad but worked hard and was selected captain by my teammates in high school, JUCO and SEC School! After my senior year had a chance to play professionally … $500 a month wasn’t going to pay the bills … instead married my high school sweetheart … hung up the spikes and got a real job using my Finance degree as well but eventually gravitated to IT Executive Leadership in the Banking and Investment (FinTech) fields. Great article! It hit the mark with me! Good Luck to you in your future endeavors ! Thanks so much for sharing your story. I remember having a similar realization when exposed to college ball. It was a much bigger world than high school. It motivated me to work harder. It’s great to see that many of the skills and competencies you learned from baseball also translated to the workforce. Baseball is a great teacher because you fail so often. Even the best of the best make more outs than hits.